While not an American, I have always loved the idea of celebrating Thanksgiving Day. I mean, who doesn’t have something to be thankful for?! In this packet, I have tried to include both historical and modern day aspects of Thanksgiving Day. You’ll find images of Pilgrims and Native Americans to help remind your kiddos that Thanksgiving Day was first celebrated after the first successful harvest in 1621 as well turkeys, pumpkins and pies. Let’s see this packet in action! 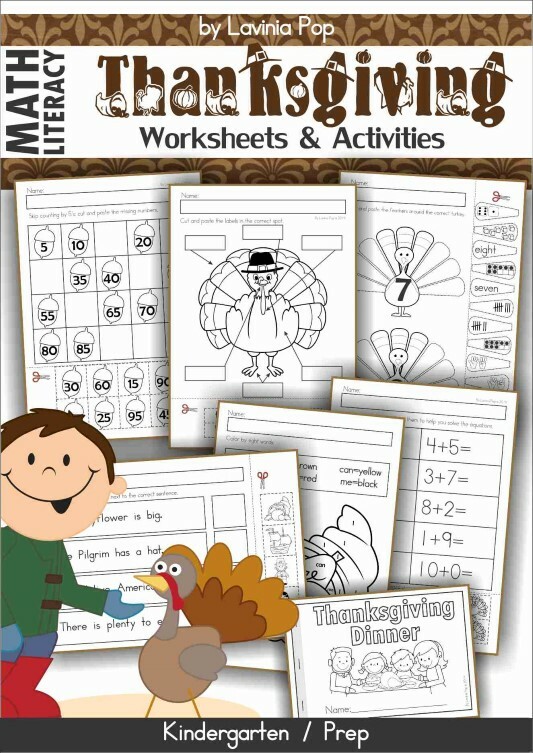 PLEASE NOTE: This blog post contains sample pages from my Thanksgiving Literacy Centers for Kindergarten packet. You can download the free sample pages by clicking on the photos. 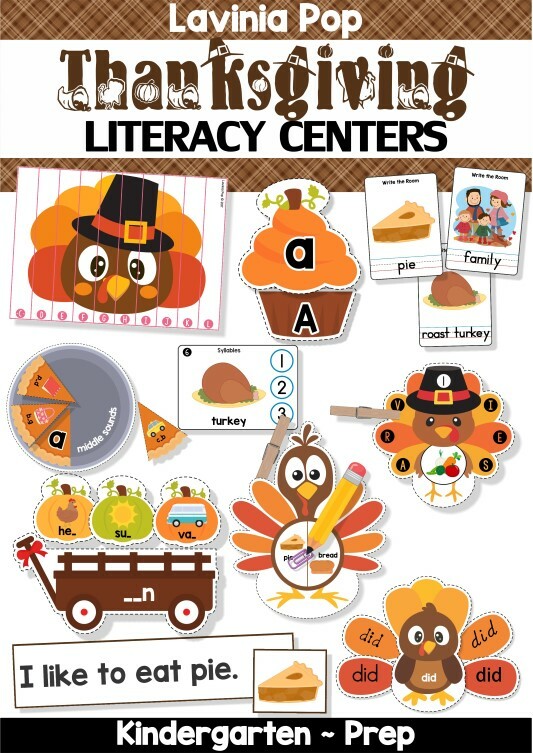 To purchase the complete Thanksgiving Literacy Centers for Kindergarten packet, please click here! The contents of this packet are best suited for use in centers and small groups with children in kindergarten, although the activities can also be use with children in preschool and first grade. Each activity includes a center label that can be printed and placed on the front of your storage device. Also included are “I can” center instructions to help children remember what to do. I have included a recording page at the end of each activity in order to have evidence of each child’s work. If you’re thinking, “Hang on lady! I don’t have time to prep all that!” then you may find my worksheets packet more suitable! Please click here or on the picture below to check it out in my TpT store! I just saw the words sample at the top, sorry 🙂 Thank you!!! !